Shantae: Risky's Revenge Official Site! : Shantae heading to Europe! Shantae: Risky's Revenge Official Site! Available for download on iPhone, iPad, iPod touch, Nintendo 3DS, and Nintendo DSi and DSiXL! It's time to put on your excited hat! Shantae: Risky's Revenge will be ready and waiting for all you Euro-Gamers out there on Feb 11! Have your 1200 Nintendo DSi Points ready. We're gonna whip awful monsters, make coffee for zombies, battle giant squids, and belly dance all that stress away! Check out the reveal at Nintendo Life , the Warp Pipe, and GoNintendo! Want to get me excited? Put this thing on Wii and PS3 for download. Hey man, be nice, they've been trying to get some form of sequel out there for years now. They can't just magically pull ports for every console out of thin air, those things cost money, and that's something they as an semi-independant developer don't have heaps of. Just in time for the 3DS release! Thank goodness! I can't wait to play it. Patience paid out. Forget about ports, I'd rather have sequels! That giant pink jelly looks pretty sweet. I look forward to killing it! And the tinkerbats! Font's changed a little. Haven't been able to see if we still get the Mighty Flip Champs bonus yet. At last, I got it!! Now I'm glad that I have a DSi. Waited so long for this. Now I really want to play Shantae (GBC). Is there any way to get this at a decent price? In Europe? 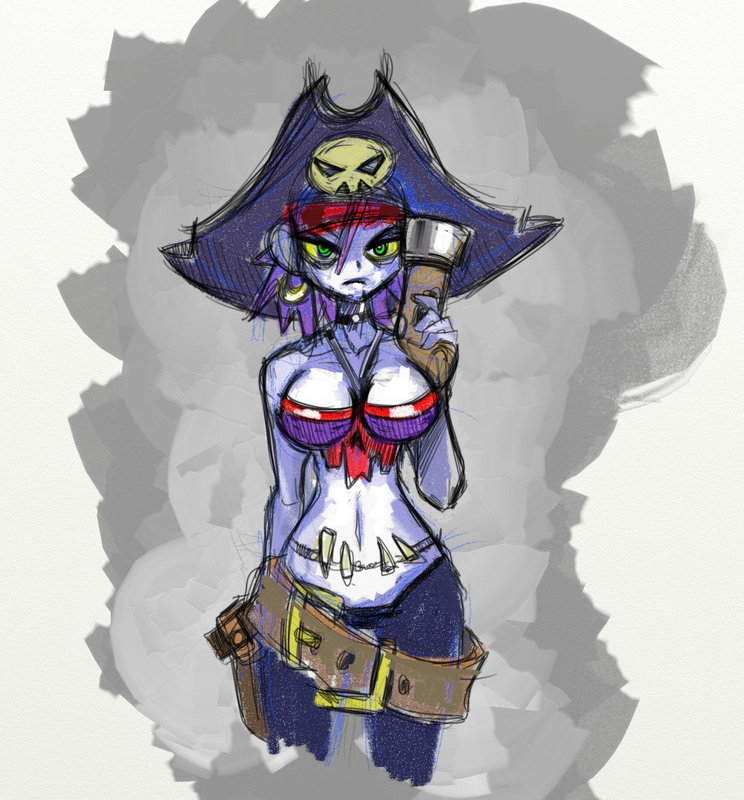 Nintendofans.de made a Shantae: Risky's Revenge Review (german). They gave the game a soild 9. Any chance you can get this released in Australia for the 3DS eShop? LOST? Use this handy map of Sequin Land to find your way! WARNING: Spoilers ahead! NOTE: Import Room is DSiWare version only. Straight from our digital sketchbook. Enjoy. 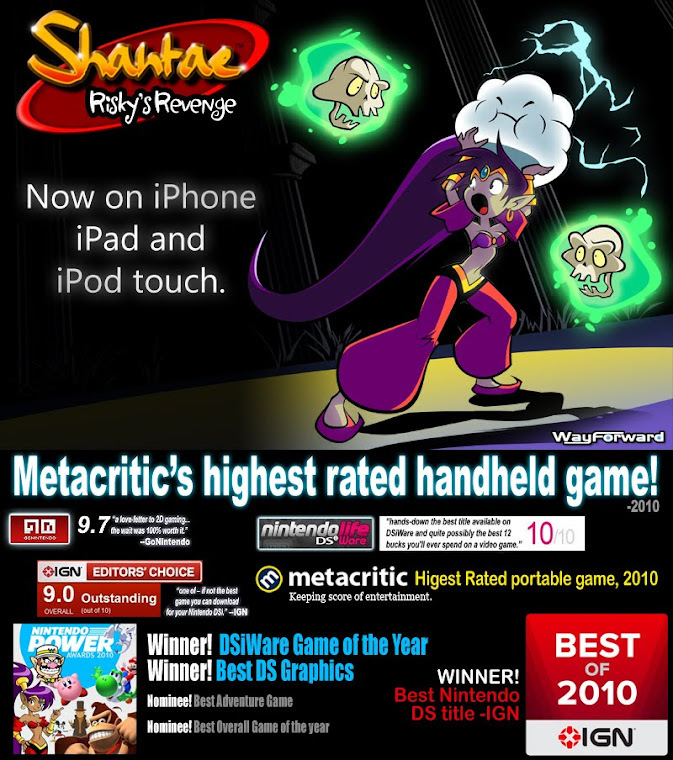 © 2010 WayForward Technologies. Shantae and the Shantae logo – TM Matt Bozon. Nintendo trademarks used under license. DSiWare is available only through the Nintendo DSi system.